Have you been able to to make a snowman yet this winter? Winter hasn’t been as snowy this year. So due to that, we haven’t been able to make a real one yet. 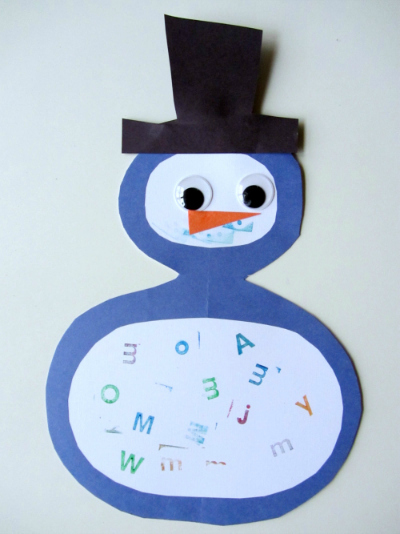 Since we couldn’t make a real one, we chose to make our own version and made this fun letter snowman craft. 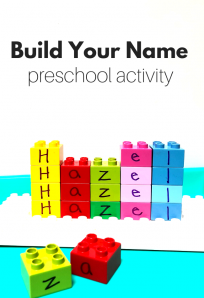 This winter preschool craft is part of our Alphabet For Starters Series which is a series of simple and fun activities that expose and introduce young kids to letters in playful ways. 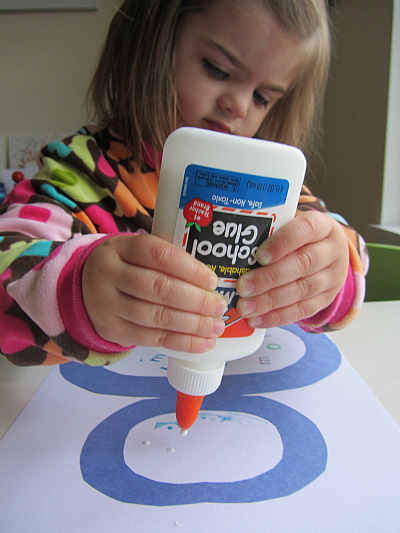 According to my daughter, it can’t get much more fun than stamping, so using these letter stamps seems like the best way to decorate our snowman. Gather your materials. 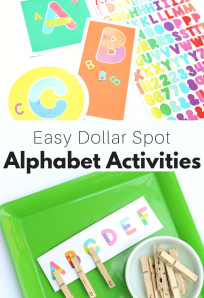 You will need some white paper, blue, black and a little orange construction paper, glue, googly eyes, alphabet stamp set and a stamp pad. Start by making your snowman. Cut out the frame. Glue on the white sheet and trim. Pick your letters. 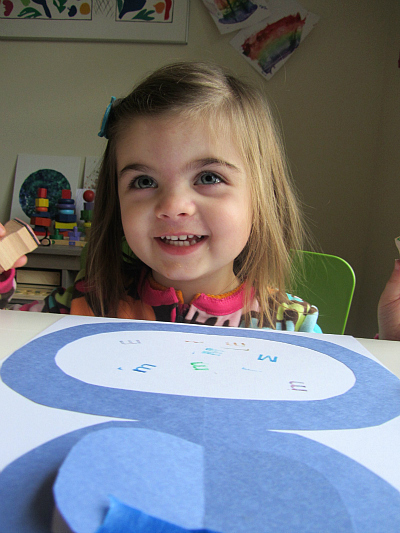 She always looks for letters in her own name first. Do not push young kids to look for new letters. 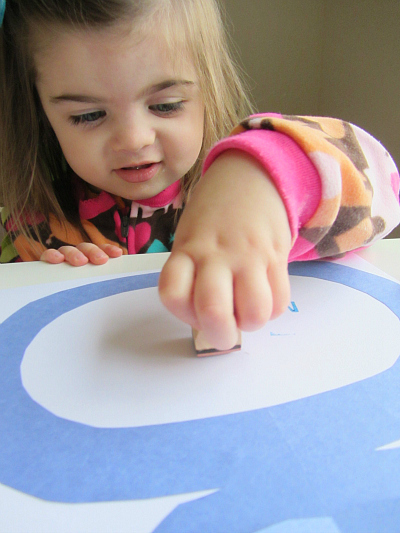 Instead, let them explore while they are learning their letters. 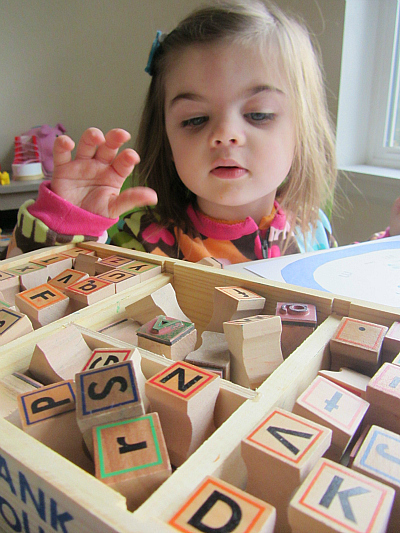 Let them play and get familiar with them as they pick and choose the stamps. 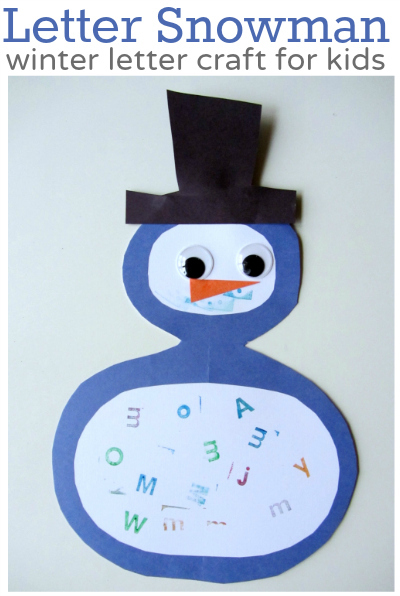 As they pick the stamps up label the letters, ask questions like “Where are you going to put the M?” I put the cut out from the head back on the snowman with some tape to stop her from stamping the face. While they stamp cut out a nose and hat from construction paper. When they are done stamping pass them the glue. Add a nose and a hat. 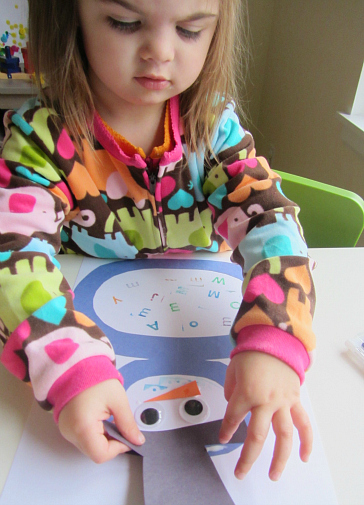 For more fun Winter Preschooler craft – make sure to follow along with us on Facebook! What a great idea and she looks like she really enjoyed it. 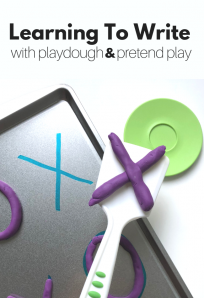 Hi, looks like a great idea, is the ink your using washable? SO cute! Where did you find those great stamps? I have implemented so many of your great ideas. Very cute craft! 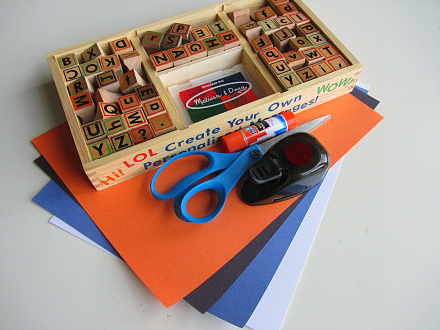 Instead if the letters, I used it as a # 8 craft. The children cut out an 8 out of the blue paper, and then used 8 stampers for “buttons” on the bottom half.